FOMO is real. No, it isn’t the same as MOFO. You can take a deep breath. I’m not going to write 1,000 words about that particularly confusing curse. I am going to write about the (F)ear (O)f (M)issing (O)ut—FOMO. My friend introduced me to this little acronym a couple of years ago. Apparently, her husband and his brothers have been using it for the past decade. She was talking to me about the intense feeling of disappointment that was plaguing her heart and mind at the idea of missing a world-class heli-ski adventure. I chuckled when she told be about her bad case of FOMO. It is a funny turn of phrase. It is also very real. In this life we have an infinite number of choices to make. Literally, from the time you wake up until you hit the mattress at night, how many choices do you make in a day? Some choices are more impactful than others. Eggs or Smoothie? Arizona or California? Leave my kids on the corner for the next passer by or take them home and deal with their nasty attitudes? You get the idea. 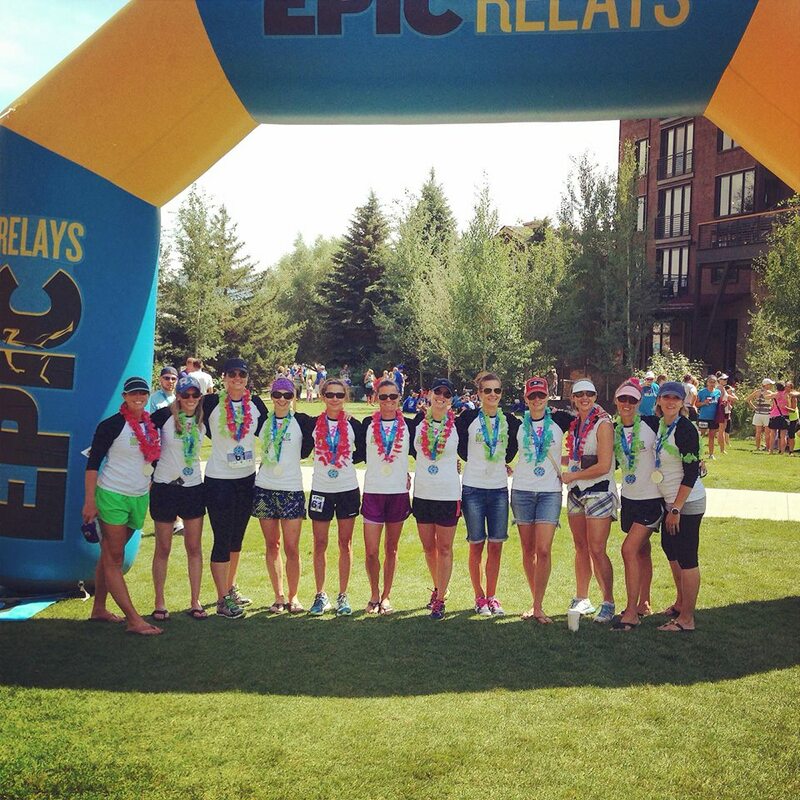 Many of you reading will remember my post last summer after the 2014 Cache-Teton Epic Relay Race. I reference it often, as it was the post where I introduced the Head Wench. That race experience was indescribable. It was SO. MUCH. (painful) FUN. I think of it much like I think of childbirth. There was a long training period that led to a lot of anxiety, anticipation, and concern that I’d bitten off more than I could chew. As the race neared, I was excited. The work of running 15+ mountain miles was painful….like…really, really hard for me. And when it was over—after the Motrin kicked in and I was there with my team and we were laughing, reminiscing, and LOVING being with each other, beaming with the pride of our accomplishment. I was so happy I’d made the choice that I did. This spring I tore my meniscus in my right knee. I’d already started planning the race. I had to email my team, tell them I was out, turn over the reins of Team Captain to someone else and bow out. I know…blah, blah, blah…poor Tall Mom can’t run her dumb race. Right. Well, some peeps might read that and think, “What’s the big deal?” BUT…my money is on a whole heck of a lot of people being able to relate in some way or another to their own version of this scenario. We all have times in life when a situation pops up and while we really, really, really want to say, “YES!” We ultimately must say, however tortured and dejected, “no.” It might be responsibly to children, financial reasons, health reasons, work commitments, or any other priority that takes precedence. The result is the same—FOMO kicks in. Ugh. The feelings the FOMO creates. Panic. Dejection. Anger. Sadness. I am going to miss out on the fun, the laughs, the bonding, and the accomplishment. I am going to miss out on the experience, the vistas, the feelings of belonging and togetherness. Etc. This fear of missing out, what is it really about? Well, in my humble opinion, it is really the fear of being left out, left behind, and/or not fitting in. Yup. We might all be adults, but FOMO is the same at 34 as it was at 4. I can see the FOMO as it grips my son’s heart and squeezes while he watches his older sisters climb the fence to the neighbor’s yard. He wants to be a part of the group. He can hear their laughter, imagine their glee, and envision himself partaking in the euphoric merriment that is obviously going on across the fence. I can’t say that my emotions about missing the race are much different, but there is an important disparity. You remedy the FOMO but create a raging case of SARS—(S)tupid (A)ss (R)egret (S)yndrome. Given the two, I choose the FOMO over SARS every time. Every. Damn. Time. To all those out there dealing with their own case of FOMO. I feel ya. I hear ya. You are NOT ALONE. To my amazing friends and teammates running this weekend, I’m cheering for you. Have the time of your life! Maybe next year the timing will be right. Maybe next year I can say, “YES” for all the right reasons and avoid SARS while simultaneously telling that ugly MOFO FOMO to take a hike and leave the running to me.